The Johan display cabinet is effortlessly elegant and functional. 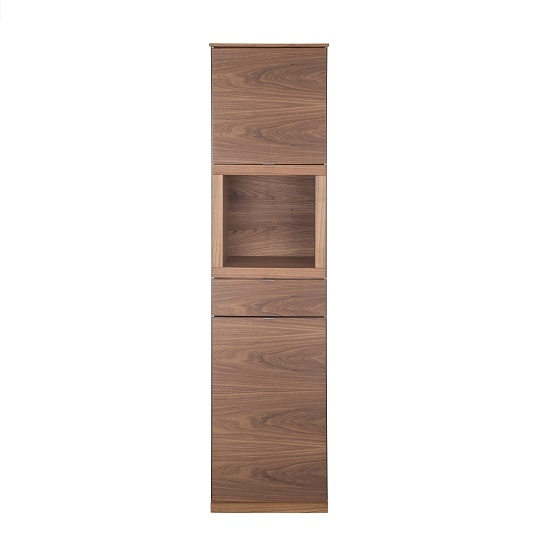 Its two walnut doors conceal three spacious wooden shelves, and there is one drawer and open compartment. A built-in LED light illuminates your valuables and items on display. Size: L 20"W 17"H 79"